What version of the HyperText Transfer Protocol to use. Referrer The URL of the page that contained the link causing this request. Is this request to retrieve (GET), send (POST) or just to check (HEAD). How can the response be encoded. Restrictions on how a cached copy of the response can be returned. A server may return a 304 (Not Modified) if the content has not been modified since the supplied date. If Non Match If the supplied ETag token matches then return a 304 Not Modified status. If Match If the supplied ETag token does not match then return a 412 Precondition Failed status. Ensuring your website responds to requests correctly can be very important. Especially with SEO and the way you redirect requests to a new URL. e.g. if you move a page on your website. This tool checks the responses a website is sending back to requests, so you can check it is doing the right thing. It will recursively follow redirects to find out the final destination of a request. It also detects html refresh code and redirects on that. These tools are often called web sniffers. Ideally you want all request to be correct and return the 200 code. However that is not always the case. If you have changed any URLs then the 301 Permanent Redirect will help your visitors and the Search Engines. Visitors will get what they expected while it provides a signal for Search Engines to update their index data to your new URL. You should use this whenever you upgrade/move your website or have changed the URLs of any pages. The 301 Redirect can also be a good move if you remove a page. Instead of just showing a 404 missing page you can redirect the visitor to a page that is more appropriate. e.g. if it was a product page then you could redirect the visitor to a similar product or the category page. 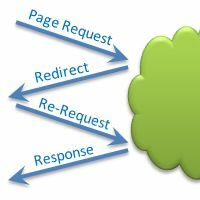 Here's an article on How to do 301 Redirects. If your using an apache server I've also written an .HtAccess 301 Redirect Generator Tool .